Epic Games has confirmed that Fortnite for Android won’t be available on the Play Store and rumors suggest that it will be exclusive to the Galaxy Note 9 (which will be announced later today), to begin with. However, it hasn’t stopped the folks at XDA Developers to tinker around and get the game up and running the Galaxy S9+. 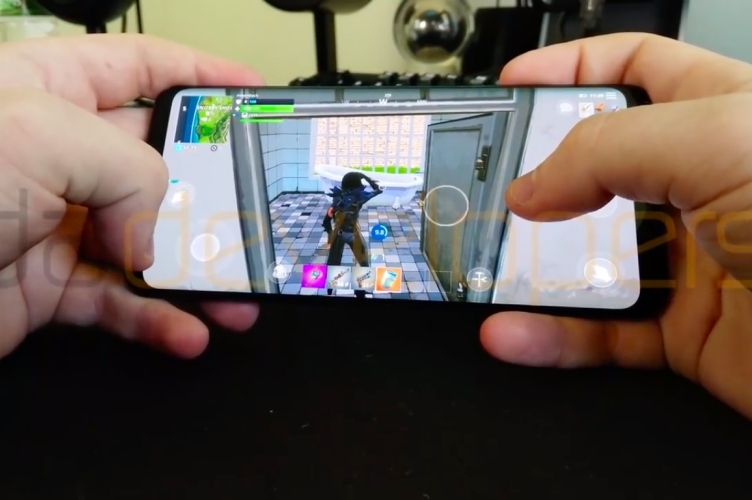 Yes, this is your first look at the Fortnite gameplay on Android, running on “Epic” (High) settings on Samsung’s own flagship from earlier this year. The developers at XDA even used Samsung Game Tuner to better the resolution and performance. As you can see in the video attached below, the gameplay looks exactly the same as you would have experienced on iOS. You still jump out the Battle Bus, gather all weapons and medication, and can even drive the golf cart – as is possible in Season 5. In addition to giving us a taste of the Fortnite gameplay on Android, XDA has gone on to confirm that the title will integrate with Samsung Galaxy Apps, the Korean giant’s App Store. The game asks you to choose the store you would like to use – Epic or Galaxy Apps – on the matchmaking screen. Also, it has been found that Epic has built provisions that will not allow you to play Fortnite on a rooted Android device by sideloading the APK. However, XDA has also managed to bypass them (via Magisk) and test out the game on the Google Pixel 2 XL, OnePlus 6, and Essential Phone PH-1. This is great because the latter two are not on the list of compatible devices. This means you might soon be able to try out Fortnite on Android even though it will be restricted to the Galaxy Note 9 at launch. So, are you excited to finally play Fortnite on Android? Or has PUBG Mobile stolen its thunder? Let us know in the comments below.